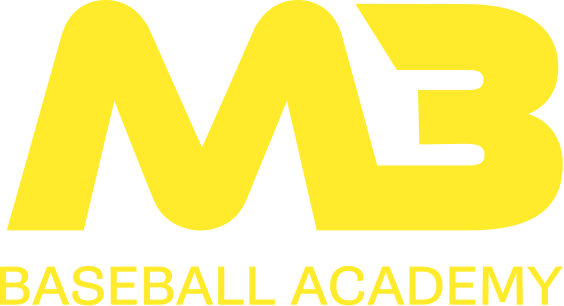 At M3, we place a big emphasis on MECHANICS - how your body moves to stay safe yet produce the maximum amount power output. 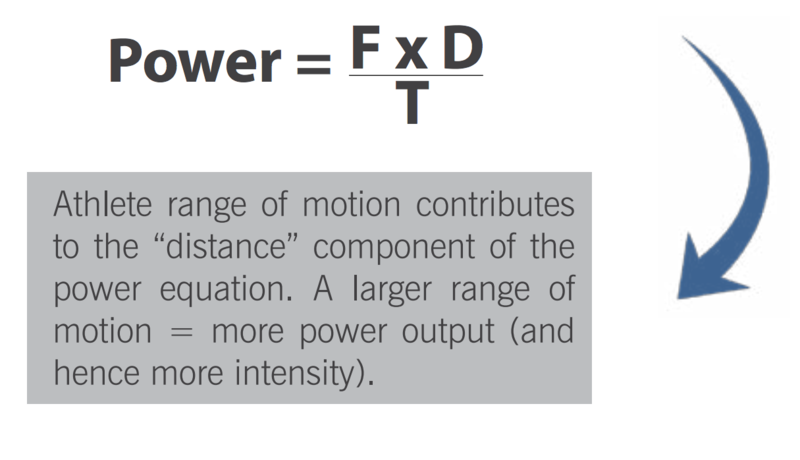 We evaluate an athlete's power (P) by the amount of force (F) they can generate, over the greatest distance (D), in the shortest amount of time (T). But an athlete's ability to produce power is dependent on their range of motion. Using targeted mobility, we can maximize their safe range of motion and therefore place more emphasis on load, speed and volume gains within that ROM. Better range of motion for the athlete means greater distance to throw which gives more power! Think of a pitcher... their throwing capability (how they can get the ball over home plate) is determined by their power output: how much force they can produce through core rotation and shoulder/arm throwing mechanics, the distance from the ball to the catcher, and the speed the ball travels. Crossover Symmetry is a medically designed rotator cuff and scapular strengthening system engineered to enhance shoulder health and performance. It's a Performance Based Exercise that uses Movement Patterns (not specific muscle groups), and Exercise Sequencing - The right exercises in the right order. The bands are available for use at M3 as part of your warm-up and cool-down program as well as a the easy-to-follow program. The exercises are designed to mirror the functional patterning of sport specific movements. They target common deficiencies and muscle imbalances to improve movement and athletic performance. The programs were developed using the most current exercise and medical research to identify the best way to functionally train movement patterns, not specific muscle groups. 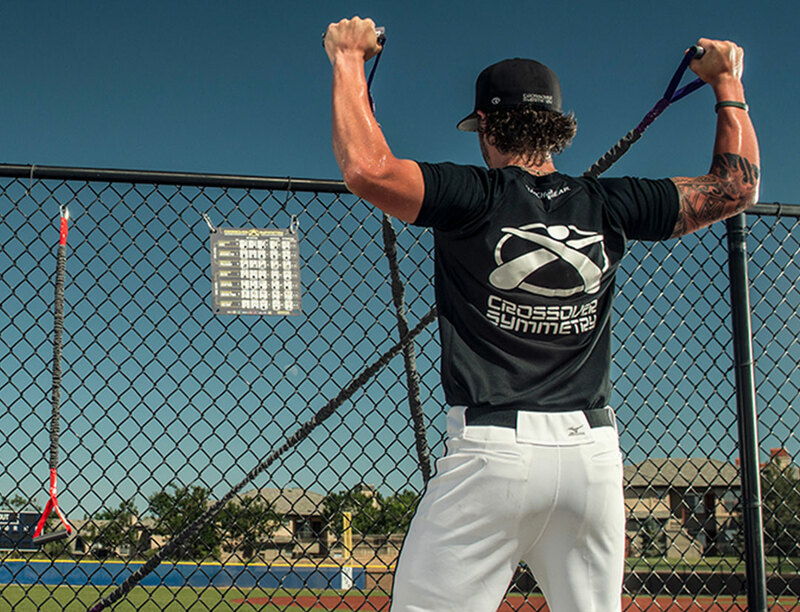 We highly recommend athletes and/or teams purchase a set of their own Crossover Symmetry bands and use before and after all practices and games. You can see how easily they clip to the fence. 5 minutes is all you need! Learn how Crossover Symmetry works here.